No, we haven’t fallen off the edge of the world – we’ve just been enjoying a bit of down-time from blogging over Christmas and New Year, which somehow stretched into all of January. So now it’s back to work, the skipper is cracking the whip and there’ll be no more lollygagging on this ship! 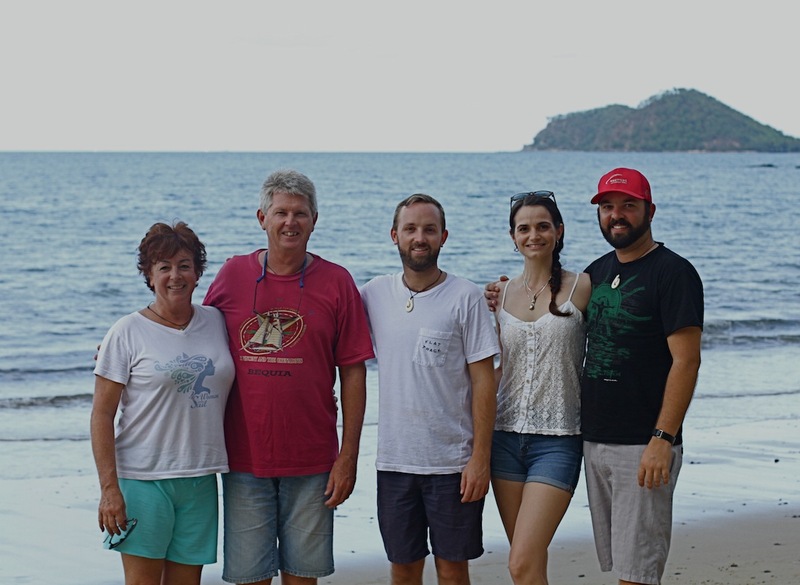 We had a fabulous trip back home, spending Christmas in Cairns with our boys, Nick & Rob, and our future daughter-in-law, Sally. Even the constant rain couldn’t dampen our spirits and it was a wonderful, special reunion. All together again, after nearly 2 years! From there we headed to Sydney for a whirlwind few days catching up with friends and family and retrieving a few needed items out of storage. Again, it was so wonderful to catch up with (almost) everyone and we thank you all for your hospitality – we felt (and looked) like stuffed turkeys by the time we left! 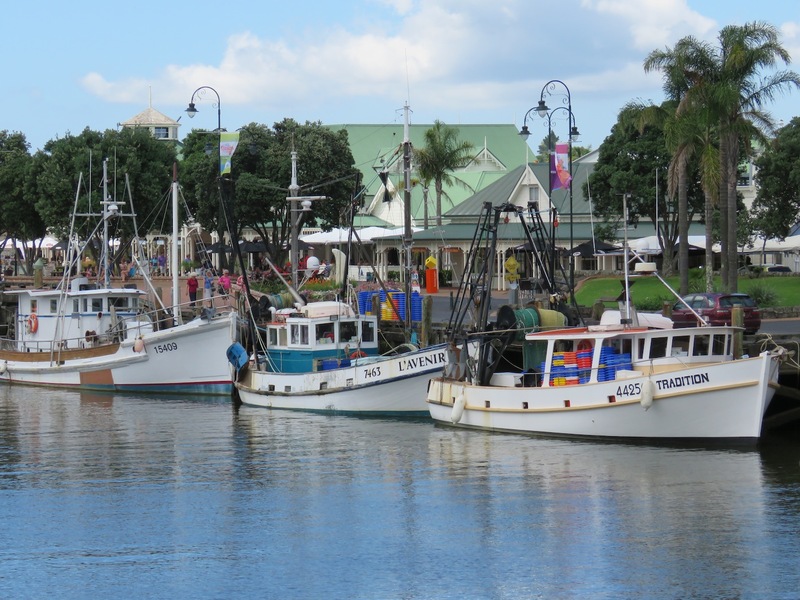 And now we’re back in Whangarei catching up on a multitude of boat jobs and waiting for parts to arrive. 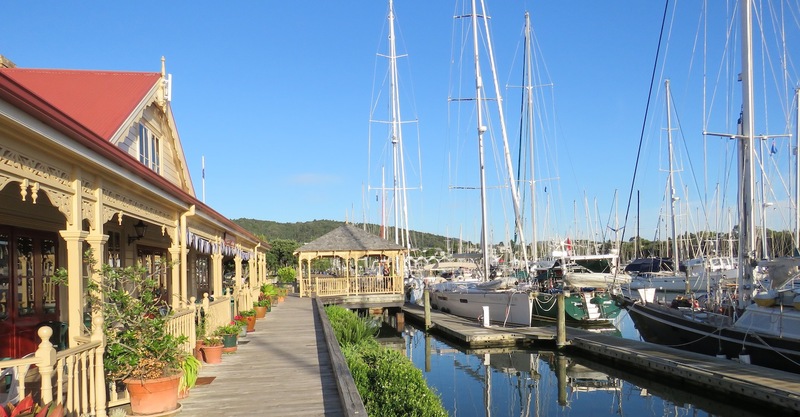 Whangarei (pronounced Fung-a-ray) is a great place to spend some time – the marina is right in town and very cruiser-friendly. Yachts from around the world congregate here to wait out the cyclone season, and we’re catching up with many familiar faces that we’ve met on our journey through the Pacific, which is just lovely. Every few weeks the marina managers, Sharon & Brian, host a cruisers BBQ which is a great forum to catch up or meet new friends. And the town itself is large enough to meet all our supply needs, but small enough to have plenty of character. There are myriads of coffee shops, bookshops, art and craft centres and ice cream outlets, so we’re in heaven! 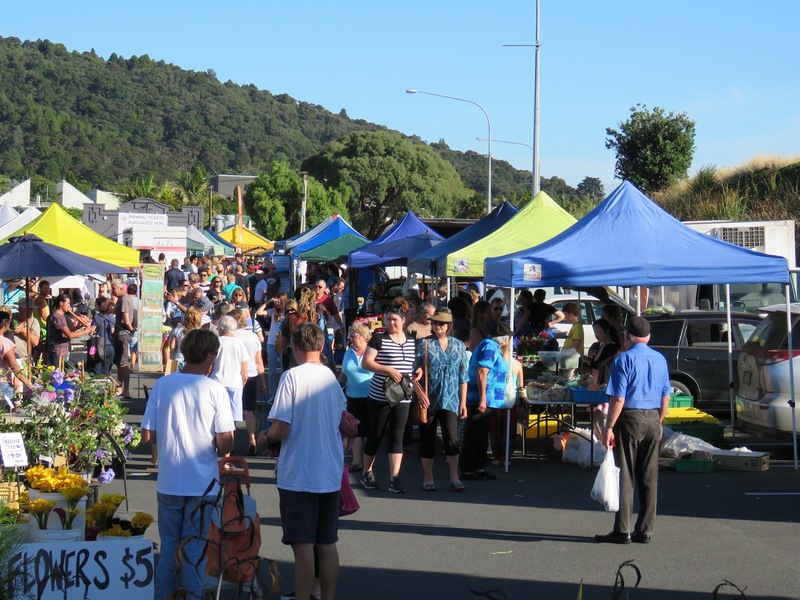 Saturday morning is the Grower’s market, held in a car park under the bridge, where we can source organic fruit and veggies, local cheeses and meat. 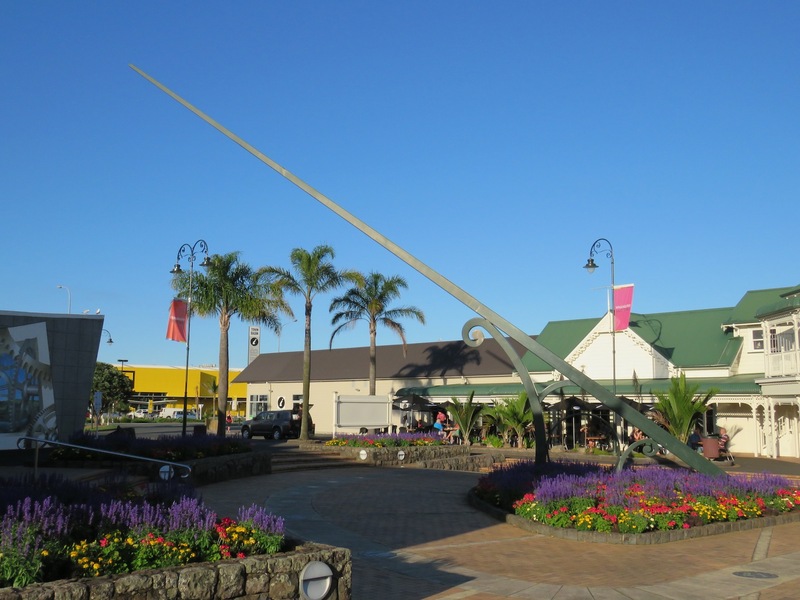 It’s not quite as big as the Narrabeen markets back home, but it’s pretty damn good – especially after the dearth of fresh produce in the islands. 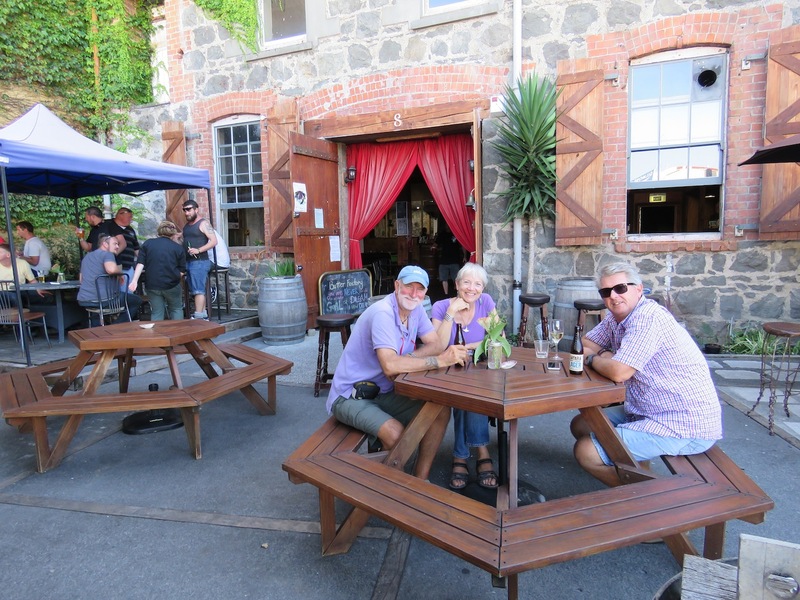 It was great to see our buddies from “Rehua” last week – they drove up from Auckland and spent a night with us, and kindly loaned us their fold-up bikes which will make getting around town a lot easier and faster. 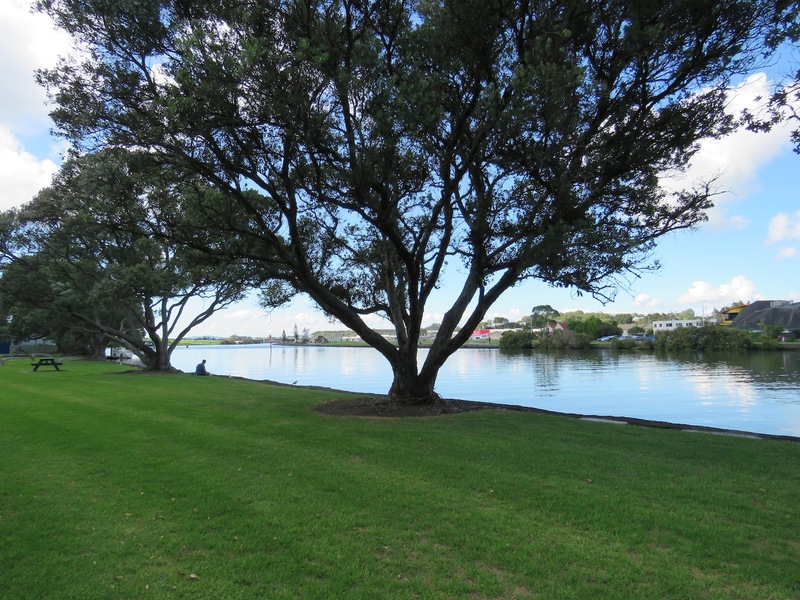 There’s also plenty of walking tracks here so there’s no excuse not to shed some of those Christmas kilos! 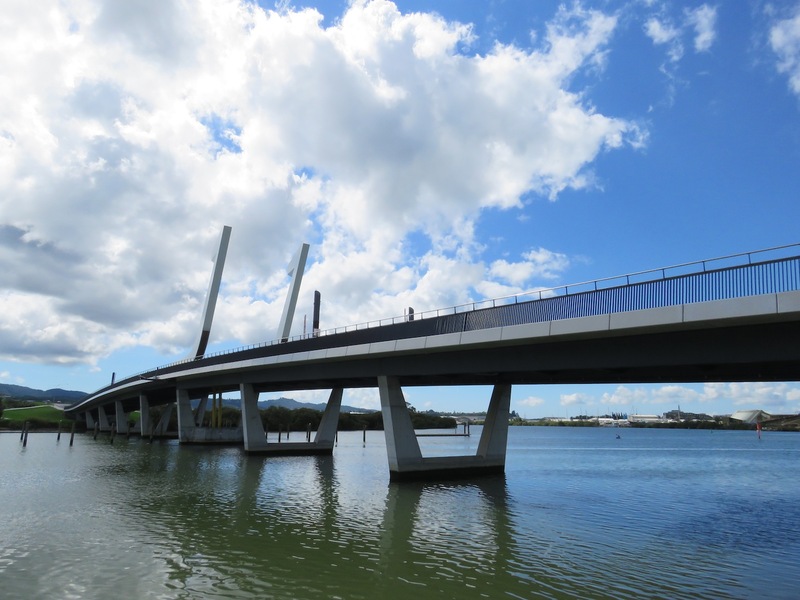 the bascule bridge which opens on demand for sailing vessels – except when it’s too hot and expansion causes it to fail! 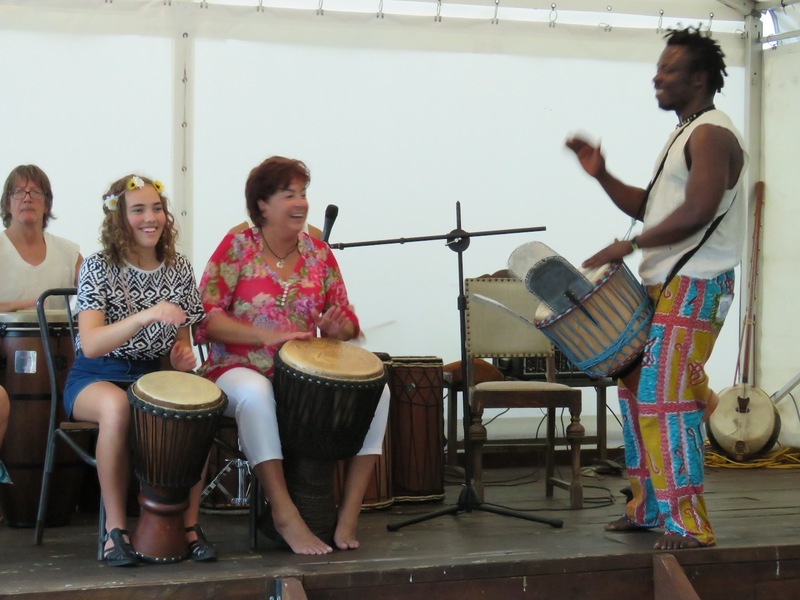 There’s no lack of cultural events either – when Marce from “Escape Velocity” told me there was an African drumming workshop and concert happening at one of the local venues, I didn’t hesitate. It’s been about 8 years since I did any drumming in Sydney, but I loved it then and it was just as much fun here. 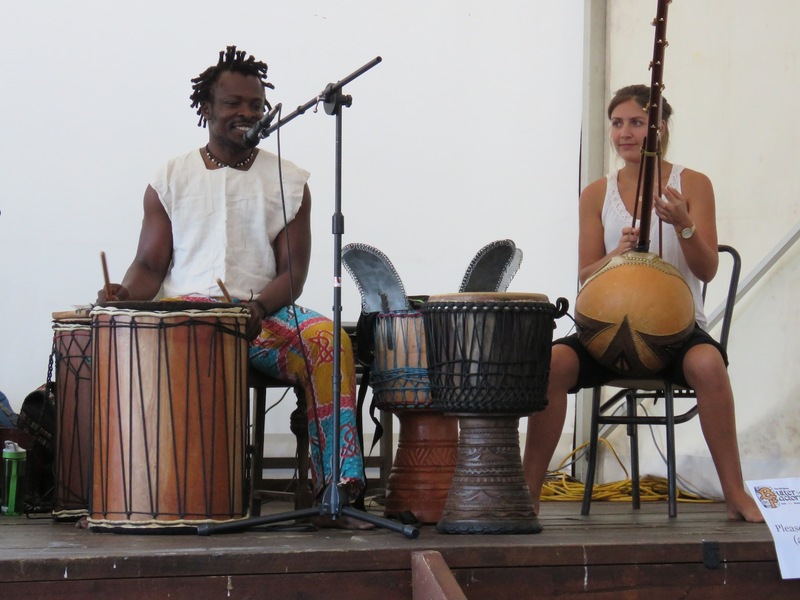 Koffie is from Ghana, but now lives in NZ, and was a great teacher (and a pretty cool guy all-round – love those pants!). In the evening Jack & Marce from “Escape Velocity” joined us at the Old Stone Butter Factory for an evening of music and dance, finishing with some audience participation from the workshop attendees. So much fun!! A bit of audience participation – big fun! Lovely photos of what appears to be a really lovely place – I can imagine that there are much worse places to be stuck in! Didn’t know that you were into drumming too Di – did you catch it from Rob, or vice-versa?? And good luck with your workshop, Bruce – it’s great to see someone keen enough to want to keep the old traditions going! thanks Michael – Rob’s talent must have filtered through to me, cos it’s definitely not the other way round! And yes, Bruce’s dedication to research is truly outstanding! What a lovely place! 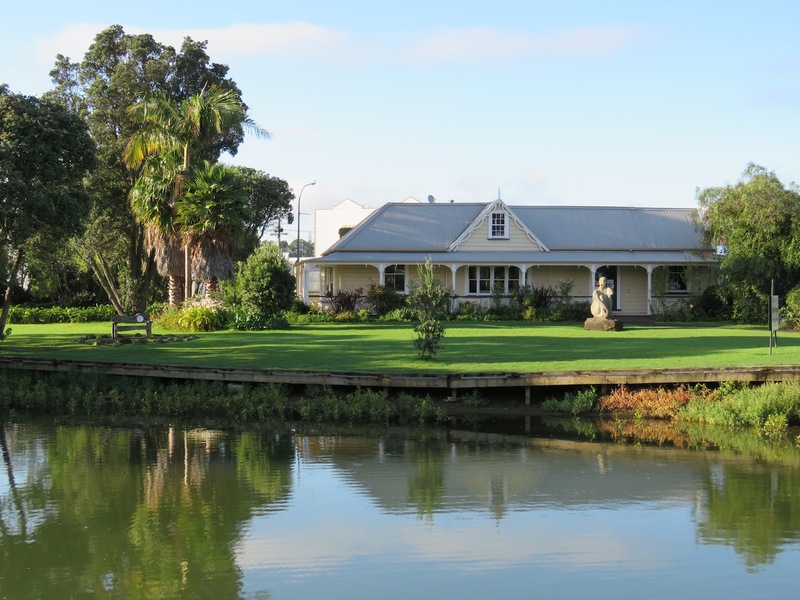 It is on our list, for possibly this year or next, to ‘do’ the north island in a campervan. Did it in the south island and it was great. Have fun! 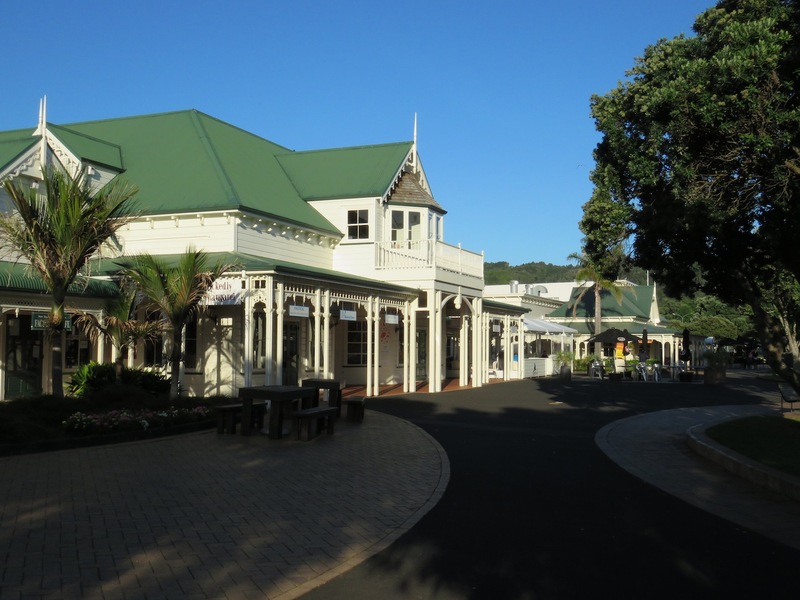 It’s beautiful Linda, and so many great places on the North Island. Looks great guys. Nice place for R&R and to work on those pesky little and not so little jobs. Thanks guys, pesky is the right word! Great place seal rocks enjoy. what a fabulous place Fungaray (!) looks – my kind of place. And I can see where Rob gets his rhythm skills from…. What cultural workshop are you enrolled in, Bruce?? ?